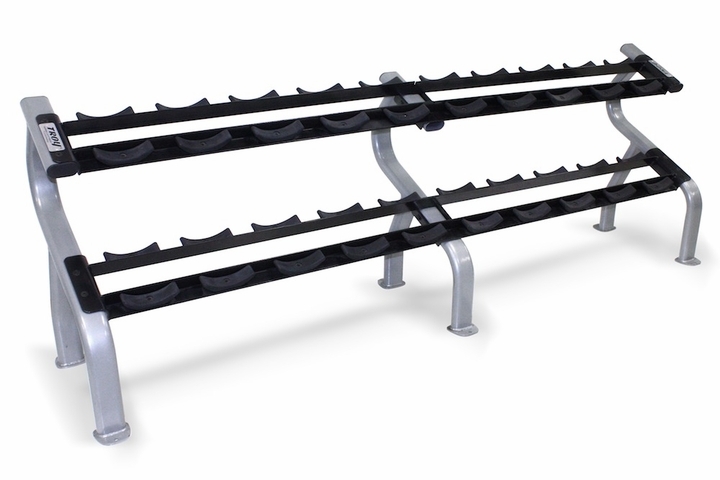 This set includes a pair each of our economy line 105-150lb (10 pr.) Pro Style Dumbbells in 5lb increments. Each dumbbell is constructed with Black Iron Plates, Rubber Endcaps with Chome Contoured Handles. 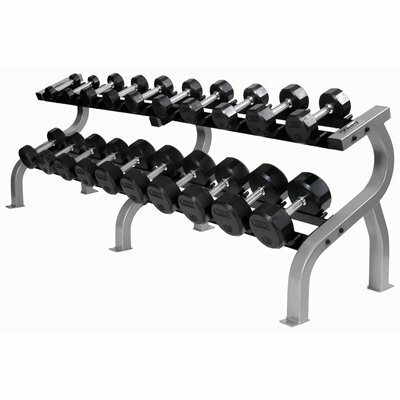 This set includes a pair each of 105-150lb Black Iron Pro Style Dumbbells with rubber Endcaps and Chrome Contoured Handles. 5lb increments. Call 1-800-875-9145 to speak with one of our fitness agents with any questions you may have about the Troy Pro Style Black Iron Dumbbells 105-150lb Set PFDC-R. Don't hesitate order your Troy Pro Style Black Iron Dumbbells 105-150lb Set PFDC-R from FitnessZone.com today! 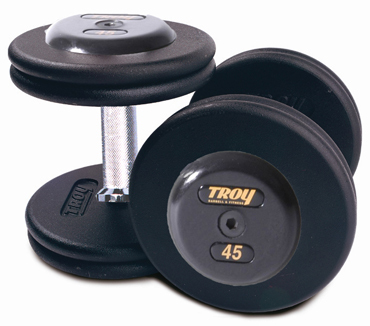 Order your Troy Pro Sytle Black Iron Dumbbells 105-150lb Set with rubber Caps PFDC-R-105-150 from FitnessZone.com Today!